At the end of the famous Hinku valley lies the very popular Mera peak. All that begins beautifully must end even more beautiful and the Mera peak climbing is a firm and elegant instance of the same. 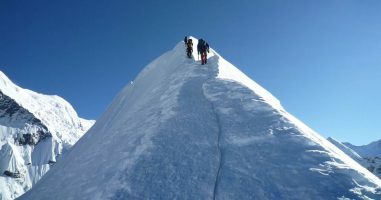 About three summits are magnanimously enclosed in the Mera peak, and the highest reaches out to about 6,470 meters. The black rocks, pristine white snow and the colorful attires of the climbers make it a wonderful sight during the whole Mera peak climbing. It is a unique in its own way. The buzzing flags, the cloudy and the clear aspects of the sky somewhat look equal to the ground. Both have a blue and white craving to come out and hover and shine throughout the path. This valley was since long virgin and untouched. The tall and stiff mountains peek out at you from everywhere. 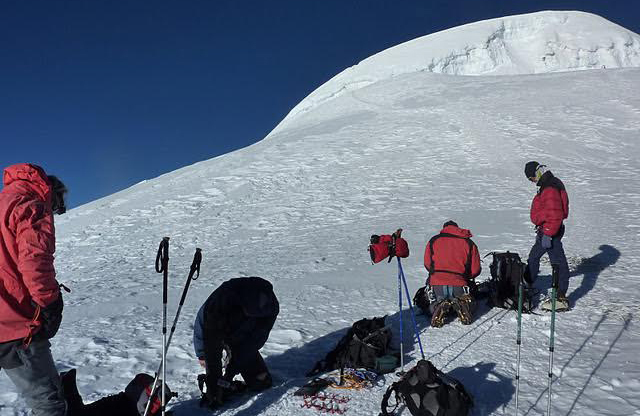 Acclimatization before the climb is indispensable for the journey, as much as is food and oxygen. Hanging glaciers make an interesting part of the climb. glaciers and the vivid mountain setups the whole environment seemingly gets quiet and very relaxing. 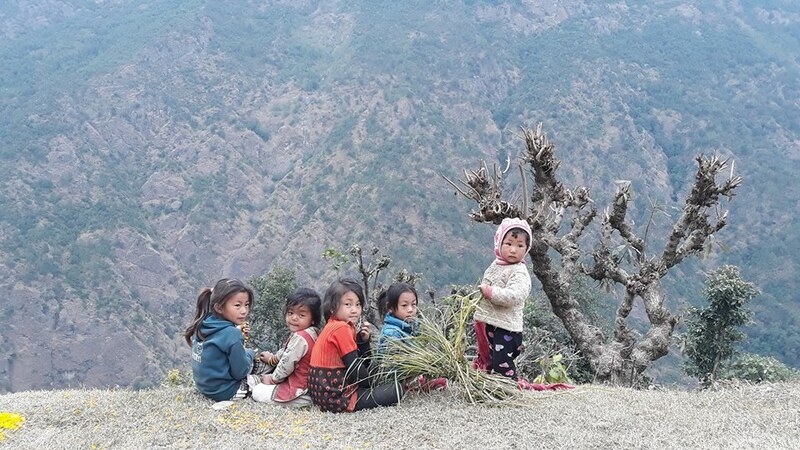 Your wonderful journey starts from phaplu salleri to Mera peak and end at Lukla.You drive to fly to Phaplu salleri and finally you fly to Kathmandu from Lukla Tensing Hillary Airport.While mera peak climbing, you enjoy not only the view of mt panorama but also explore lower Solu landscape and culture. From where to start Mera Peak? For Mera peak Climbing route, we make an itinerary from lower solu.It’s an alternative Trekking route now starts from Salleri Phaplu.The reason to start journey from lower solu means less crowded and lower elevation. 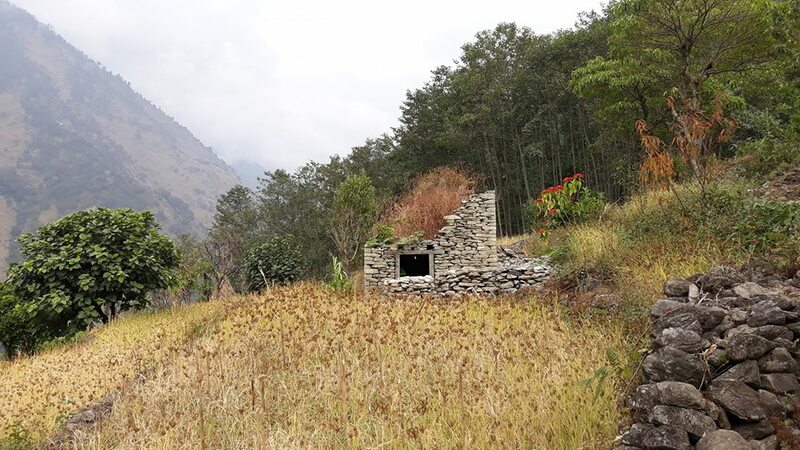 Advantage of this journey, you drive or flight to Phaplu Salleri from Kathmandu and overnight at Salleri phaplu.On this day you will see the view of Mt Everest,Gaurishankar panorama and Numbur Himal.Salleri This is the place headquarter of Solukhumbu district. Explore the Local market and people here.Then next day drive to Kharikhola (2010m) by local jeep through the Khaling Rai Kanku village,Basa Village,Thulodhunga Village and Juving. 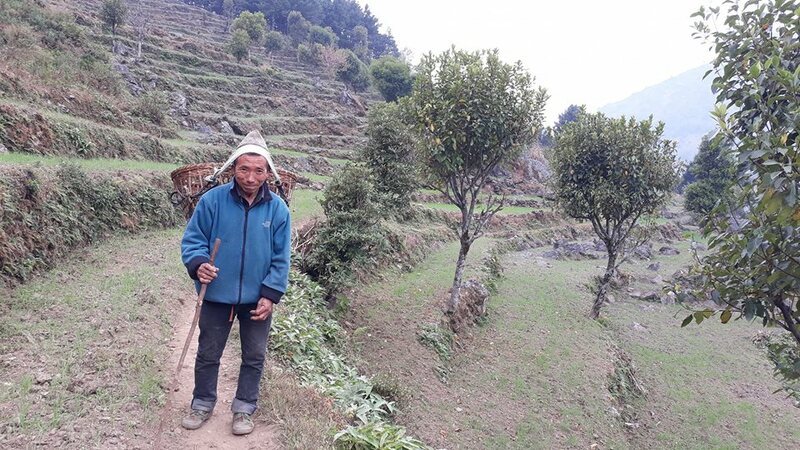 During your driving time, explore Khaling Rai Villages, landscape, their lifestyle.Along with other castes also but the major inhabitants are khaling Rai (kiranti) people. Kharikhola is where we begin our real journey. We arrive at Kharikhola (2010 m) on the day third. 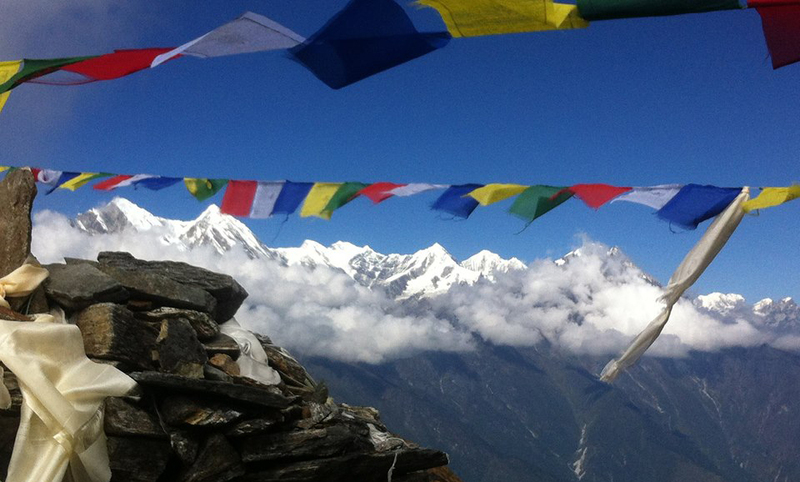 The journey here is full of many teahouse lodges and the residences of the Sherpas and Magar. The authentic Nepali culture can be seen here. There is also a monastery where people stop by to share their prayers and seek the Almighty’s blessings.From khalikhola, we start walk to Mera. 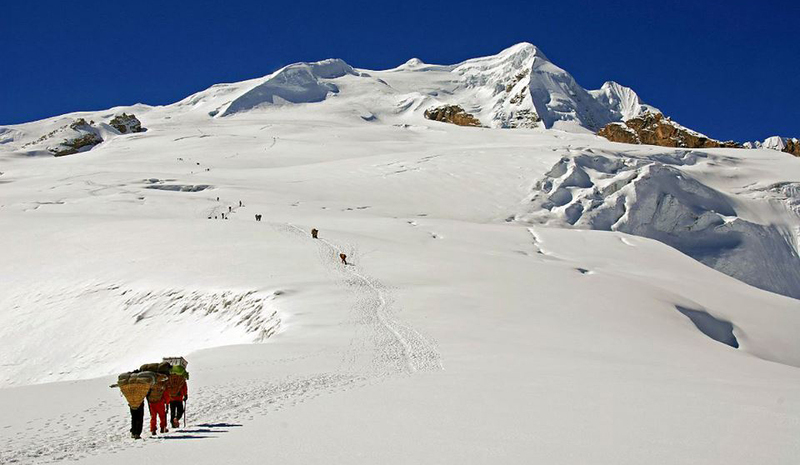 Snow flanks to Mera Peak climbing is 6470m which is known as the tallest climbing peak of Nepal. Although peak is regard technically not difficult. 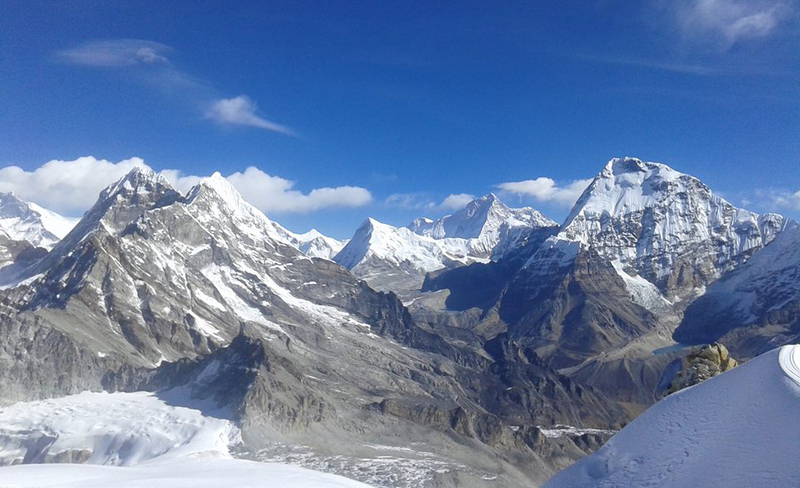 From the top of summit Mera peak ,you can see world highest mt Everest 8848m., Cho Oyu 8291m, Lhotse 8516m,Kanchenjunga 8586m and Makalu 8481m.Peak climber must be knowledgeable, strong, very helpful ,Experienced, Trained. Further more the most important is proper physical stability and willpower to get summit but can be challenging due to high altitude. Waterproof duffel Bag, day bag,Camping Tent,Quick dry long sleeve,T-shirt, Thermos, Flees Jacket,Down jacket, Expedition coat, Lightweight hiking trouser, Water repellent pant, Ankle & heavy socks, silk liner socks, Lightweight & flees Buff, polarized Sunglass, Glove liner, Waterproof & windproof Glove, Winter Hat,warm weather hat, Garmin forerunner watch, Climbing boot & Hiking shoes, Flip-flop, Crampons, Yak wool sleepers, Minus 20 sleeping bag, oxygen ,Eyes mask & Ear plugs, Toilet paper,Rope & ice Axe, Water bottle, climbing harness, carabineers, Helmet, face mask, suncap, Headlight with extra batteries, sun & skin cream, toothpaste & Brush, personal first aid, dry food further more what you need . 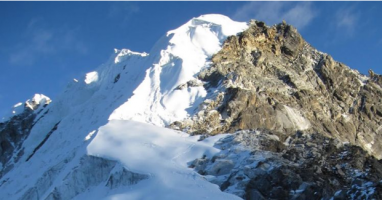 We recommend you Autumn season (Sep-Oct-Nov) and Spring Season (March-April-May) for Mera Peak climbing.In this season temperature is moderate and weather is mostly clear.Summer season is rainy season in Nepal and winter is cold season. From Phaplu to khare 4860m you will sleep at simple Lodge(Menu Choice meals with tea, coffee Hot chocolate) and at High camp sleep in Tent. meals serve by Climbing Guide or cook. We provide you camping standard service by our Enjoy Nepal Treks Expedition & Tours P.Ltd Team. 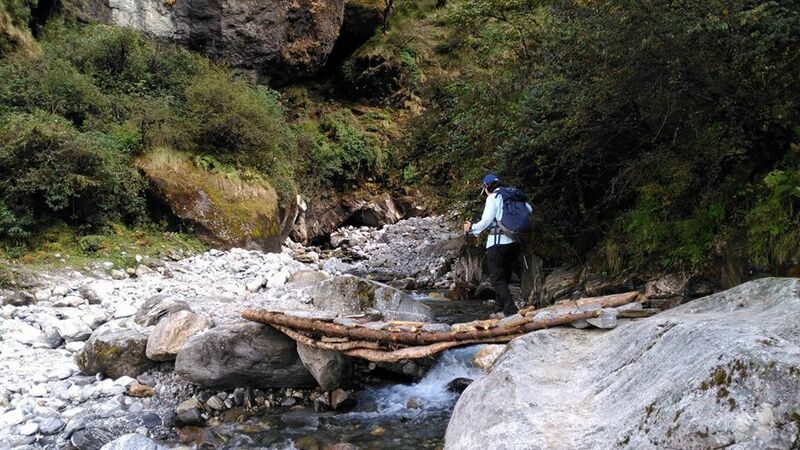 Our Trekking Guide, Climbing Guide, Assistance Guide ,Cook they are professional ,knowledgeable, Trained, Experienced. Our staffs have insurance by our company for their security in case of accident during the trek.For individual client we provide you Trekking Guide, Climbing Guide and porters but in 4+ groups you provide you extra Assistance Guide and Cook. Likewise, we provide to our staffs good Trekking equipment, First aid ,we highly concern & priority to clients & staffs during the trek . Altitude sickness is major risk above the 3000m.Therefore be familiar with your staffs, you need proper care if you get altitude sickness. To prevent drink plenty of water, eat Garlic soup, acclimatized yourself. Normally from your camp hike up to 300m and get back to sleep. We provide you certain medicine to relief and incase of emergency immediately will be rescued by Helicopter on Client’s require.